Christmas is just around the corner once again and I'm sure that you are already thinking of what gifts to give to your friends and relatives. 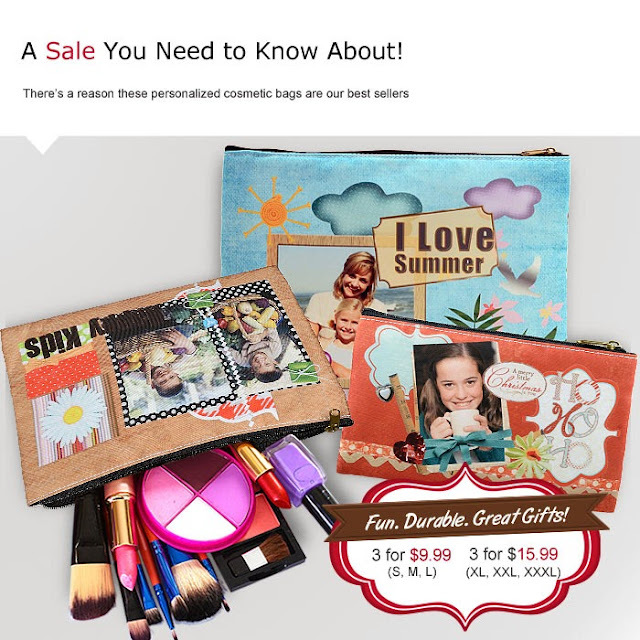 One of my fave gifts to give to my aunts, friends and even to my nieces are these personalized cosmetic bags that I am ordering at artscow.com. It's not only used to put cosmetics or makeup for they are really versatile. My niece uses it to put her crayons, pencils and pens that she carries at her school. I put her name and her photos on the bag so that no one can steal (haha) her bag and it's very obvious that is her pencil bag.